6 months later in July'94 MENTAL HOME attacked VNUKOVO STUDIO once again and there the second masterpiece "MIRRORLAND" was born. The new release was nothing to do with the previous one. Music stepped to a new level (thanx to a lot of keys). After that demo band started to get proposals from various record labels and soon made a deal with "METAL AGEN REC"/"SOYUZ" for release of MC. 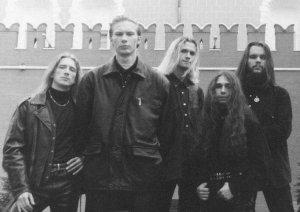 The contract was much forced by the band's live on "DEATHRIDER III" festival. Everything seemed to be cool... But disaster was around the corner. Accident happened with Roman Povarov. Due to the serious left hand damage he had to forgot about guitar. But he didn't leave the band and switched to keyboards. After a long search band chose Sergey Kalachov as a new Lead Guitarist. 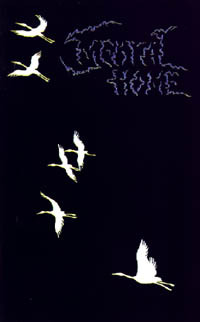 With this new breath MENTAL HOME moved to their favorite studio (guess it's name) and recorded their third album "VALE". The final mix was made only after three attempts and the result was really cool : the band signed to "MORBID NOIZZ PROD" for the MC/CD release. In spring '96 "Vale" was finally released on MC on MORBID NOIZZ and is now on sale. In fact first print of the album was sold out in Moscow in less than month. 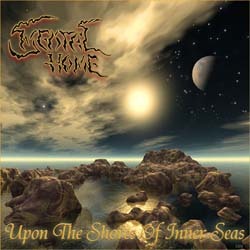 At the same time album hits Russian Metal Charts #1 in July beating the Russian Metal legend ARIA's latest release. On June 2nd the band performed their special party gig to officially present their latest release. Unfortunately it was the last gig for original line-up. Shortly after that performance Roman Povarov left the band... Only two month later band invited Michael "MAIDEN" Smirnoff to replace Roman on keyboards. The first "test" performance for the new line-up took place in Nizhny Novgorod (ex-Gorkiy) with Autumnal Discord (also from Moscow) and four more local bands. The gig was tremendous success. The new guy on keyboards seemed to be completely accepted by fans. From September to November the band made a gig in Archangelsk and in Severo-Dvinsk and also 2 gigs in Moscow. At the end of the 1996 Mental Home visited Saratov banging at the Saratov Rock Festival. In the new 1997 year the band made a show on 26.01.97 in Moscow at ex-Calipso club. 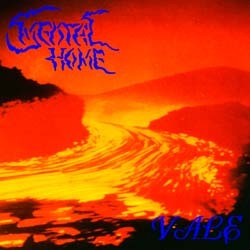 Shortly after the gig Mental Home began to prepare new material... At the same time "Vale" album was re-released in Russia by Soyuz Records after first print (by Morbid Noizz) was totally sold out. "Mirrorland" album is sold in 5000 copies for now and is about to be re-released too. In the middle of March the band went into the good-old Vnukovo Studio to start the recording sessions of their 4th album which is planned to feature 8 brand new songs and 2 instrumental themes. In the middle of April the band started rehearsals for the DEATHRIDER-5 festival which took place on April, 30 at "Filial DK ZiL" venue in Moscow. Festival also featured such faves as End Zone, Goresleeps, Gods Tower (from Belorussia) and Nokturnal Mortum (from Ukraine). Mental Home live set featured one new song ("Silent Remembrance") that was happily accepted by fans. On June 7th the band finished the recording sessions for their 4th brand new album entitled "Black Art" which contains intro, 8 songs and one instrumental theme. 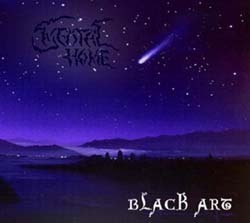 "Black Art" will be released in December on CDs. Also there are rumors about re-releasing of the band's 1st album "Funeral service" ('94) and sold out "Mirrorland" ('95). Taken from the Mental Home home page.